*Winner of the prestigious Norwegian Booksellers' Prize**A Barnes & Noble Discover Great New Writers Selection (Holiday 2011)*A glorious evocation of a Norwegian childhood in the early sixties by an author short-listed for the 2009 Dublin IMPAC AwardLittle Finn lives with his mother in an apartment in a working-class suburb of Oslo. Life is a struggle to make ends meet, but he does not mind. When his mother decides to take a lodger to help pay the bills, he watches with interest as she freshens up their small apartment with new wallpaper and a sofa paid for in installments. He befriends their new male lodger, whose television is more tempting to him than his mother would like. When a half sister whom he never knew joins the household, Finn takes her under his wing over an everlasting summer on Håøya Island. But he can’t understand why everyone thinks his new sister is so different from every other child. Nor can he fathom his mother’s painful secret, one that pushes them ever farther apart. As summer comes to a close, Finn must attempt to grasp the incomprehensible adult world and his place within it. Child Wonder is a powerful and unsentimental portrait of childhood. 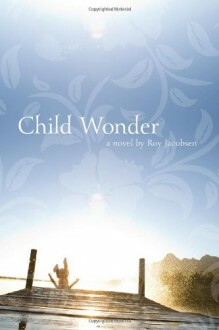 Roy Jacobsen, through the eyes of a child, has produced an immensely uplifting novel that shines with light and warmth.